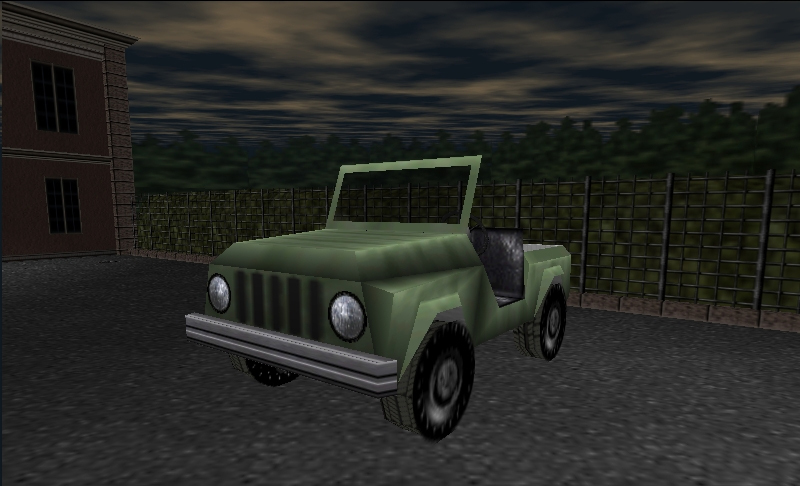 The original Jeep but with transparent glass and drivable. Open up your ROM in the Model Editor menu, select "Object" type from the list, and choose the prop model in which you want to replace. After clicking "Edit", click on the "Import Model as Template" button on the lower left of the menu. From this window, choose the model template file. or else type in a new name, then save. Once the model has finished importing, simply click "Inject into ROM and Update" to save your ROM again. ready to use in your custom setups.